Common law and statutory law, including the Nebraska Uniform Trust Code, Neb. Rev. Stat. § 30-3801 et seq., govern charitable trusts in Nebraska. Neb. Rev. Stat. § 30-3803(4) defines a “charitable trust” as a trust, or portion of a trust, created for a charitable purpose: the relief of poverty, the advancement of education or religion, the promotion of health, governmental or municipal purposes, or other purposes the achievement of which is beneficial to the community. While charitable trusts may take on many forms and serve many functions, ultimately, trustees and charitable institutions must be accountable for those assets held in trust. As the Nebraska Supreme Court explains, “The privileges provided by law to […] charitable institutions, carry a corresponding obligation to be accountable to the public for the actions such institutions undertake.” Gilbert & Martha Hitchcock Found. v. Kountze, 272 Neb. 251, 259, 720 N.W.2d 31, 37 (2006). To that end, Neb. Rev. Stat. 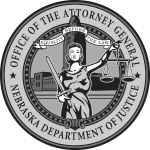 § 30-3810(d) gives the Attorney General the rights of a qualified beneficiary with respect to charitable trusts whose principle place of administration is in Nebraska. Being a qualified beneficiary also allows the Attorney General the right to access certain records related to the administration of the trust. Neb. Rev. Stat. § 30-3878 allows qualified beneficiaries, upon request, to receive a copy of the trust instrument, annual trust reports detailing the trust property, liabilities, receipts, and disbursements, including the source and amount of the trustee’s compensation. As the comments to the Uniform Trust Code instruct, “Failure to comply with the duty to report and inform may mask more serious violations from the trustee.” If you are a trustee who does not provide our office an annual trust report, please contact our office. All trustees have a duty to administer the trust properly and have a duty of loyalty to the trust. Neb. Rev. Stat. § 30-3866 and 30-3867. The true beneficiary of charitable trusts is the general public to whom the social and economic advantages of trusts support. The Attorney General’s Office works with the private sector, donors, and others to preserve and defend the public’s right to these advantages through oversight of charitable trusts and diligent enforcement of the law. Please see the Nebraska Uniform Trust Code, Neb. Rev. Stat. § 30-3801 et seq. and other applicable statutory and common law for specific requirements regarding the information above.